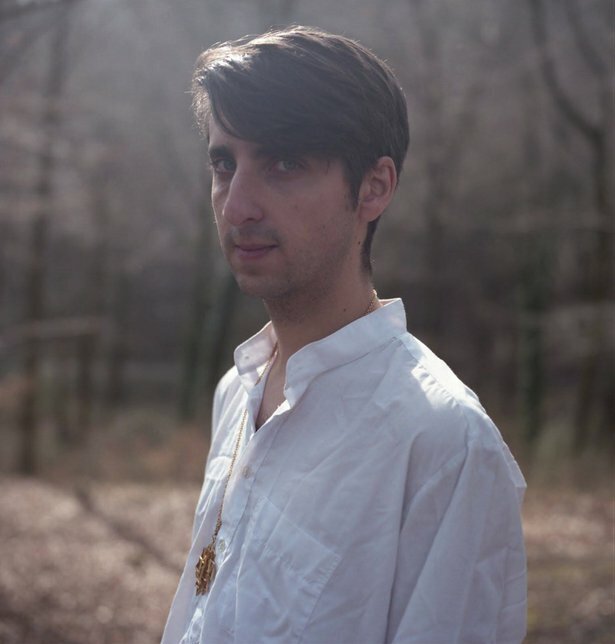 James Holden is just about the best guy to talk to about all things modular. Max for Live and a modular system are integral parts of his music, yet he’s constantly emphasising the organic, human qualities latent in the machines. James is one of the few artists daring enough to take a modular on the road and run those fragile modules through their paces on a hectic touring schedule. He’s even developing his own software to make the modular responsive to the subtly shifting tempos of human players. For the first part of our series on modular synthesis we talked to James about ditching plug-ins in favour of the modular and controlling them with Max for Live, plus we reveal the plans behind his new patch, the Group Humanizer. How’s it been taking your modular on the road? It’s scary handing it to an airline. So you’re putting it down in the hold? Can you imagine taking it though the security scanner every time? I guess they’d think it’s some kind of elaborate bomb. It’s a bit too big as well, slightly bigger than they’d allow. You need all the supporting stuff, the soundcard and controllers. I have a Pelican case and its goes in the hold. That’s the worst bit of it. Actually on stage the modular is pretty good. I’ve sort of evolved it, I’ve found some modules are more reliable than others. I had one gig where a MIDI interface failed every so often, so I swapped that out for something more reliable and that one has handled moisture, heat and cold. What was it about modular synthesis that made you interested in it in the first place? When I first started trying to find out how to make music when I went to university ages ago, I got the internet for the first time and started reading all these sites about how to make music. Back then it was the end of the nineties, there was some modular scene and I remember seeing it and thinking “that looks fun” but it was way out of my range. I could never afford it as a student and it was way pricier back then too. But the first software I started using around that time was this thing called Buzz which is modular in its design. It has a flat page and you drop modules on and wire them up. It was quite limited but people hacked it and found ways of trying modular ideas with cross modulation and stuff like that. So, it was already part of the music making process for me. I learned everything on Buzz basically. I started getting into Max MSP and stuff and bought a couple of keyboards. I realized I was uninspired by plug-ins. I was doing so much work to add reality to music that I made in the computer; looking back at my first album, it was madness. All these layers of re-recording and adding time wobbles and pitch wobbles, doing all this stuff to make it feel real and alive and then realising if you don’t use the computer so much you don’t need to do all that stuff because it happens by itself on analog machines. I don’t know what it was that made me buy my first bits of modular. I can’t even remember that decision. The first things I bought weren’t any good. Basically I haven’t used any of it since I’ve gotten Doepfer and Make Noise stuff. I feel like I’ve found my thing. It joins the dots of what I’ve already been doing this whole time. How did it change how you made music? Did it feel like you could spot a difference pre- and post- getting your rack? It took a while to get into using it, to find my own way of using it. Definitely there’s a difference; I’m much happier with the sound of everything now. Also the first thing I wrote with it was a track called “Triangle Folds”; to do that I made a Max patch to handle polyphonic voice routing which effectively built a polysynth within the modular, that was the thing I was most excited to do, to mess around with how polysynths work. I realized quite early on that for me monosynths aren’t that interesting. When I play the keyboard I’ve always got my whole hand down on the keys. That track wouldn’t exist without making a polysynth and mucking with it. I realized then that you’re building the machines and setting up the rules but the way you play into those rules, what notes you put in or how you adjust the filters, it comes alive in a way that plug-ins really don’t. I felt a sense of ownership as well. If you find a neat plug-in that does something clever I think, “Well I can’t do that because a load of other people can do it so it’s worthless.” So many times you hear a preset or a plug-in demo patch on someone’s record, and when I hear that - that person is dead to me. I’ll never listen to their music again because it’s so lame. How was the learning curve for you? How long did it take you to get past the technicalities of running the modular and into an uninhibited realm of automatic expression? I was pretty quick into making noises that I was happy with and understanding what was happening because of what I knew from Max MSP and Buzz. For a year or two I’d get half way through a patch and run out of modules. I’d be wanting to build things that were more complicated than I could afford, but it has grown a bit now so that doesn’t happen so much. And I’ve gotten better at Max MSP and realised that I had to make a hybrid of Max for Live and the modular, because there are some things that the computer is good at and some things that the modular is good at. I draw that line. Luke Abbott does a lot of sequencing in the modular and generates rhythmic patterns in the modular; he told me to build this 4MS shuffling clock multiplier, because he loves it, and every time I patch it into anything I end up pulling all the cables out of the system and giving up. It never works for me. I’ve found I work best if I create timing information in the computer or with Max and do all the sequencing tasks in the computer. I’m really into parametric sequencing. All that works well in the computer and I had to learn where to put that line to get stuff done quickly and be happy with it. I’ve got a tool kit of stuff that I’ve built in Max for Live that does more or less all the things I can think of. I consider the whole thing as one system. Figuring that out made me quick and start to get results and then all the stuff on The Inheritors, the odd sequences and cross modulation, it all happened quite quickly. I’ll sit down and an hour later I’ll know if something’s working or not. 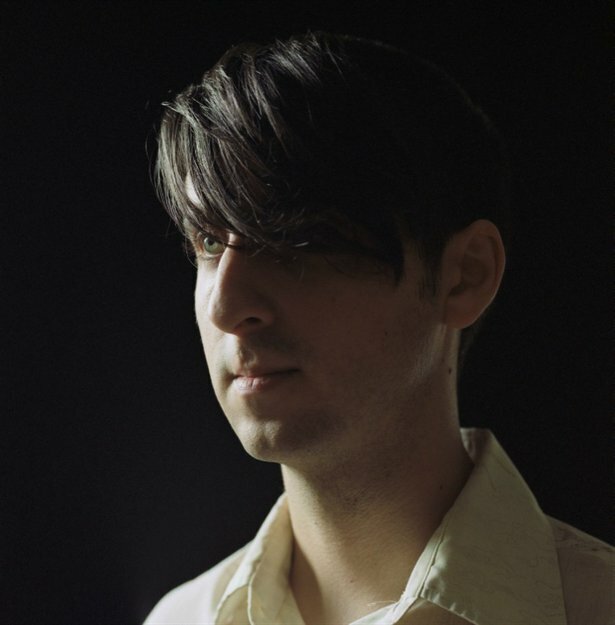 James Holden performing selections from The Inheritors live. In the past few years there’s been quite a resurgence in the modular market but there’s still quite a steep financial and learning curve for people whose interest has been piqued by the hype. Can you think of any entry points for people? I know Buzz has been brought back from the dead but I’m not sure if I’d recommend it. Luke got into using Reaktor which I never really got into, but it looks like quite an easy way into that world. I don’t know. People come at it in different ways. Even getting a few effects pedals and a Korg Volca or something is as much like a modular as anything - and that mindset of sticking wires in stuff and seeing what happens and gradually learning so that you can call up the sounds you want, like frequency modulation of a filter or whatever. To get to that point you just have to play around. So maybe part of of the value you get out of working with modular synths stems from the dedication required to get into it. Yep. At the moment my studio has a couple of keyboards but I haven’t plugged them in yet since I’ve moved into this place because the modular is the only instrument I need, along with Max for Live. That’s it. That’s all I really use. Sure it’s a very open ended instrument but it’s way less open-ended than the computer. It’s just one instrument that I’m into. Do you think there’s something to be said for the mindset that the modular workflow gets you into? Not even just about the system itself but more as a way of thinking about composition and how music can be built and arranged in general. Yeah. It does force live working a lot. Because you can’t really automate your modular. Well, you can, but if you’re doing that you’re wasting your life. I’ve used the Expert Sleepers stuff and made my own versions of that in Max. But it’s not really right to automate it, so it forces you to do this live take and record it. That for me was the biggest change that it introduced I guess, because before I would record layers of automation with a MIDI controller and end up having the temptation to fix little bits. I really strongly believe that music is a live performative thing. I have very little interest in what has been designed, laboured over and thought about too much. All my favourite musicians are improvisers. And the modular forces you towards that. It’s a bit of a trade-off because at the same time it can lead you towards making noodly music, or loop-based music with a very linear structure. It doesn’t necessarily lead you toward an arrangement like a guitar does. It’s about learning to manage and balance that. Now that I’m going back in the studio I’m trying to find ways of using the modular that make songs that actually have a structure rather than a track just getting louder and quieter again. Do you think that some of the appeal of the modular for you lies in the ability to avoid falling into habits and patterns and to keep evolving the workflow? I’d like to say yes but I think I follow habits and patterns. But you’re happy with those patterns? I feel they’ve got a lot of ground in them. They’re quite open-ended and I can bring other things in. The modular sounds fit really well with live instruments in a way that digital stuff just doesn’t. It sounds wrong together. So that means I can pick something up and play a hi-hat over the top of the modular and it works. Basically every time I make something, I build a polysynth and start sticking wires in the wrong holes. It’s a pattern, but every time I do it it leads me down a different road. It’s got a lot in it, for the time being. How has it been playing with live performers? Do they remain static in terms of tempo or is it more free-wheeling in that you can nudge your modular around to fit how the band is moving? At the moment I run the modular with Ableton and lots of Max for Live stuff. In the end I’d like it to be doing what you just said. The computer and synth can follow the drummer a bit, so I’ve been working on a set of Max for Live patches called Group Humanizer. It gets quite technical but your errors are correlated with every error you’ve made so far but also with every error the other musicians you’re playing with have made so far. So, you can humanize all your channels and they’ll be listening to one another; your drum machine will be listening to your synth and the errors in your synth will be reflected by your drum machine. I haven’t dared take it on stage yet. It’s exciting, but I want it to be reliable before I bring it on stage. When you’re doing a big show you can’t really be beta testing. We’ll be hearing more from James about his Group Humanizer in the coming days. Keep up with James on his website, and also on Facebook and Soundcloud.